He underwent 3 years of chemotherapy which completed just 3 months ago in November 2015. Immediately after 1 month he had a fever and doctors performed a bone marrow test and found the cancer has relapsed again with 60% blasts. This is called relapsed ALL and occurs only in 10 out of 100 patients who went through 3 years of ALL Protocol. Treatment for relapsed ALL is high chemotherapy for 3 months for getting him to the remission level towards bone marrow transplant. Doctor did performed match on family but didn't found 100% match among family hence doctor has started searching it in India and later in abroad. If bone marrow match is not found in family cost of transplant is very costly. Family has already spent significant amount on 3 years of treatment and are in huge financial crunch as of now. For further performing entire treatment required some financial help to treat the child. We hereby humble appeal you to kindly donate as you find appropriate Your generosity will greatly support this brilliant child. 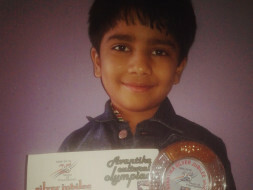 Regarding Shail : Shail is very brilliant child and has gone through study till 1st standard as of now. Woin medals in Art, Drawing & sports activities as well even after going through Initial Chemotherapy treatments. Shail loves to play Out door games like football, Cricket & cycling also loves to play indoor games like Lego blocks, Carom, solving puzzles & cards. Entire Treatment Record & Protocol in Medical Terms : Shail Alpesh Shah Diagnosed by Acute Lymphocyte Leukemia from bone marrow reported since 1st may2012at the age of 3 yrs, since than gone through entire K/C/O pre-B ALL on BFM protocol, had completed BFM protocol maintenance therapy since 10th Nov2015. Now Shail again presented with C/O recurrent neutropenia, gradual fall in HB & PLT, fever off & on. Bone marrow examination done under strict aseptic precaution from right PSIS. Bone marrow aspiration report S/o Relapsed ALL (60% Blasts). Further investigation done in form of CD marker of Acute Leukemia. Cytogenetic, RT- PCR for BCR ABL minor, Prognostic Panel, MLL gene rearrangement report awaited. Shail needs salvage induction chemotherapy followed by bone marrow transplant. The cost of allogenetic bone marrow transplant will depend upon the source of stem cells. Unfortunately allogenetic sibling donor transplant with elder sister Riya not matched at all and matched 50% with parents. So we need to move ahead towards matched unrelated donor (MUD) transplant cost would be approximately 70 lacs(approx $100K) depending upon the stem cell marrow registry from where the stem cell will be procure. Treatment Record till Time: Shail admitted in Sterling hospital at Vadodara, Gujarat, India since 31st December 2015 & just completed 2nd cycle of Chemotherapy as of now & under closed observations of Doctor's team & Nurses as his entire counts (HB, WBC, Neutrophils & Platelets) low due to heavy doses of Chemotherapy drugs. Location & Treating doctor details- Treatment going on in Sterling Hospital at Vadodara. We are happy to report that Shail is doing well. Since Shail could not find a complete match, he underwent partial bone marrow transplant in March. 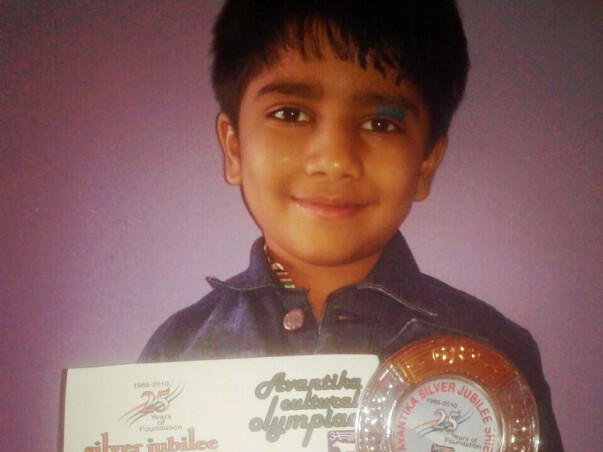 His father, Alpesh, acted as donor. The transplant was successful and he has been on post-transplant treatments ever since. He visits Apollo Hospital in Chennai every month for follow-ups. His last visit was on December 8. All his reports look positive and the doctors are confident of a strong recovery. Shail is taking good care of his health. He is doing his best to stay positive by drawing and painting, which are his favourite hobbies. Shail’s family thanks you for your support. Shail Shah is back from Chennai and he is doing well. Doctor in Chennai performed all tests including a Bone Marrow Test. Results are very good and he is near to remission. He will undergo the remaining chemotherapy in Sterling, Baroda and meanwhile the Chennai doctor is searching for a bone marrow match. 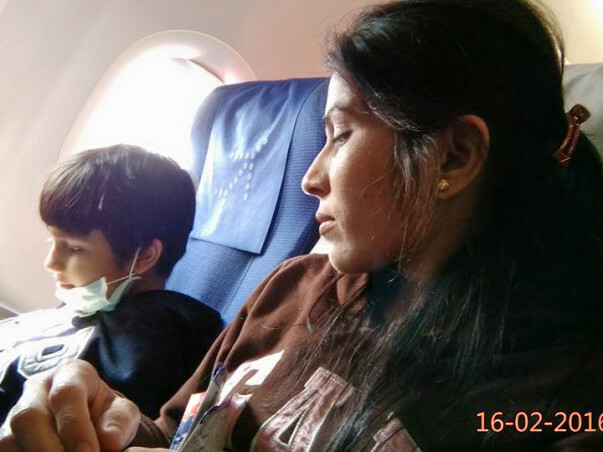 As soon as the doctor finds the match Shail will undergo a bone marrow transplant at Chennai hospital. We will keep you posted with details about his health and further treatment. Please continue supporting and keep him in your prayers.